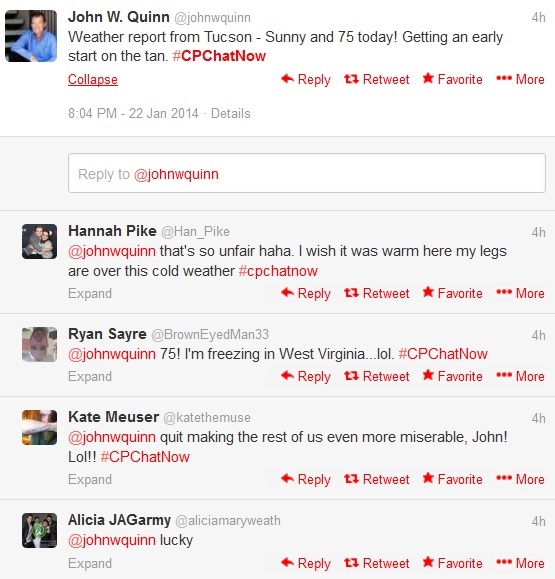 Due to family issues I couldn’t partake in this week’s live Twitter chat #CPChatNow. 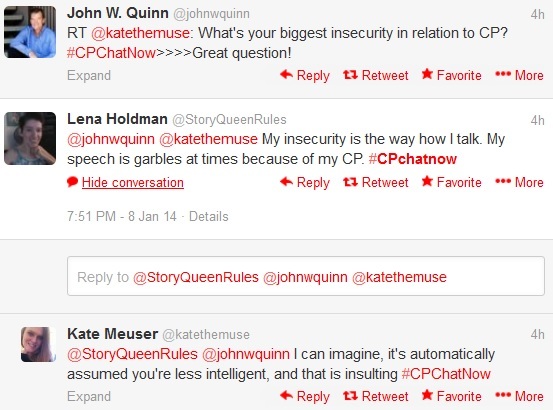 Certain circumstances however leave me timing in from my brief hiatus here to bring you your regularly scheduled #CPChatNow recap. Looking over the Twitter discussion I see I missed a friendly, fun, and insightful conversation. Humorous banter about the weather started early. 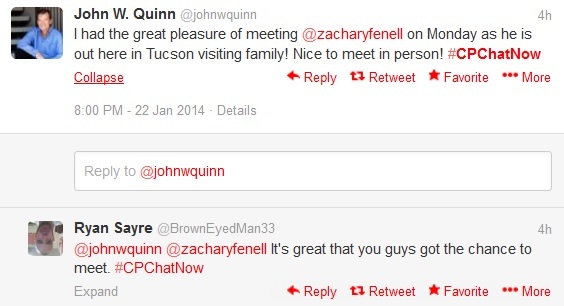 Now as John happens to mention I am in Tucson, Arizona. So I can confirm his weather report. 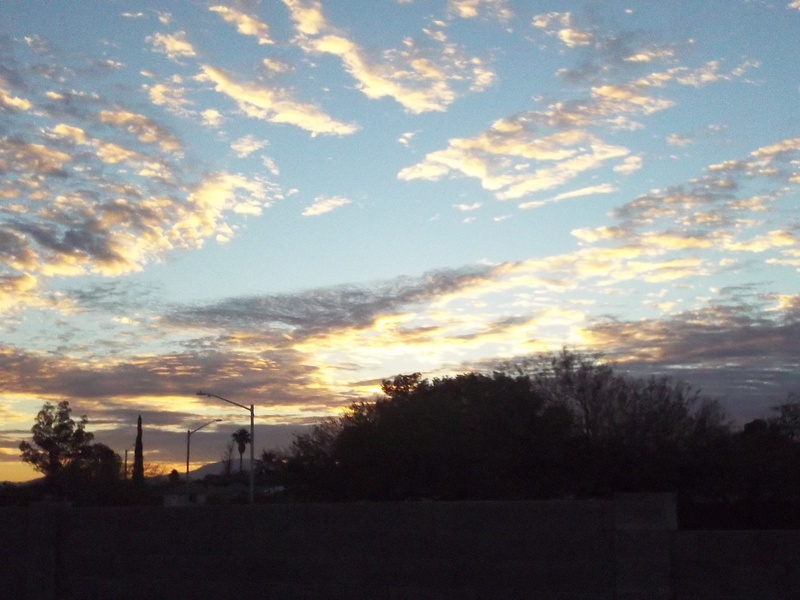 Clouds begin to depart during Tucson, AZ’s Wednesday morning sunrise. Those surrounded by snow did try to enjoy the situation, although CP turns said task into a challenging endeavor. 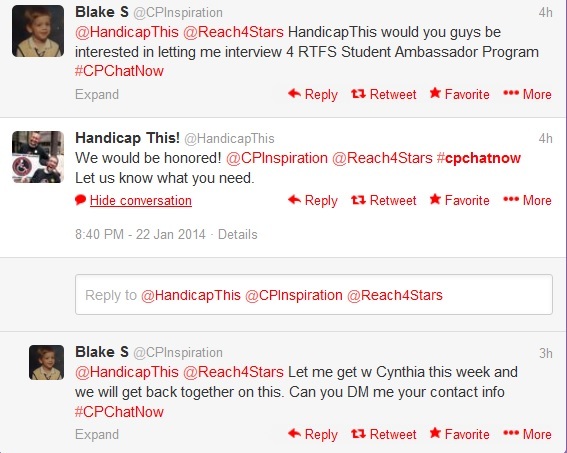 Cerebral palsy should definitely prove a hot topic this March in Atlanta, GA.
Handicap This also entertained an interview request. 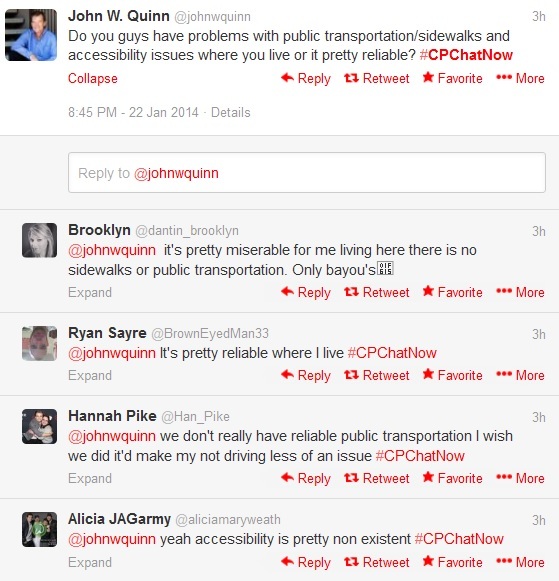 Moving on, the need for better public transportation became evident. 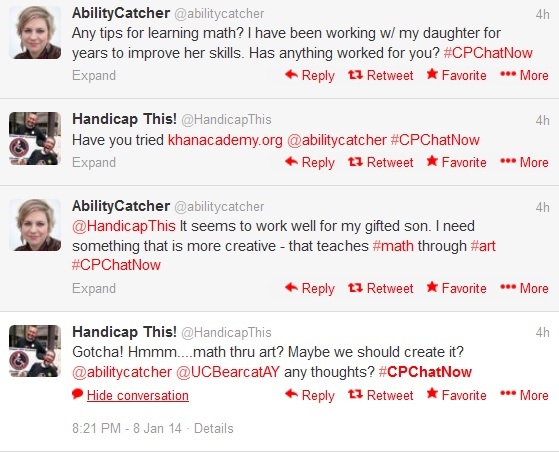 The term “disability” received focus. Until next week, remember you can always join the conversation on Facebook too! Don’t expect new posts in the next couple weeks as I am taking a brief hiatus from posting here. My regular Off Balanced blog schedule will resume starting Thursday, January 30th with the #CPChatNow recap for Wednesday, January 29th. In the meantime I encourage you to visit my blog’s archives to the right which date back to November 2011. Or if not done so already, for your reading pleasure download my memoir Off Balanced to your Kindle or Nook. Thank you. Imagine a community where members empower each other, support one another, and remain welcoming to everyone. 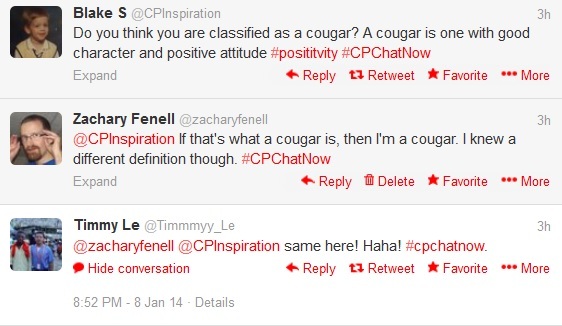 You just pictured #CPChatNow! 🙂 With each passing Wednesday the community strengthens and lives become increasingly enriched. Don’t simply take me at my word though. Let these highlights from last night’s live discussion demonstrate the above. Place your anticipations to rest. 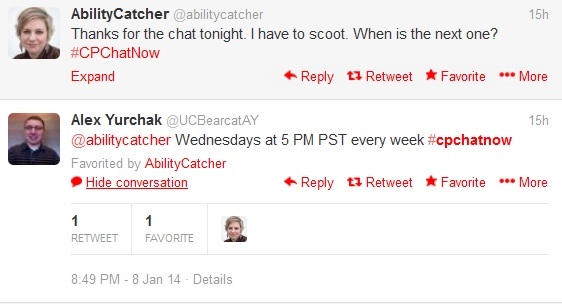 We (@johnwquinn, @HandicapThis, and I) enjoy hosting these chats in-part because the chats allow us to better connect with our audiences. Plus we receive the chance to celebrate your success. Through supporting each other, personal growth occurs. Such personal growth happens because we discuss powerful topics. Some join in seeking practical advice. Overall we keep a positive tone which can involve sharing laughs. Please join us next week. 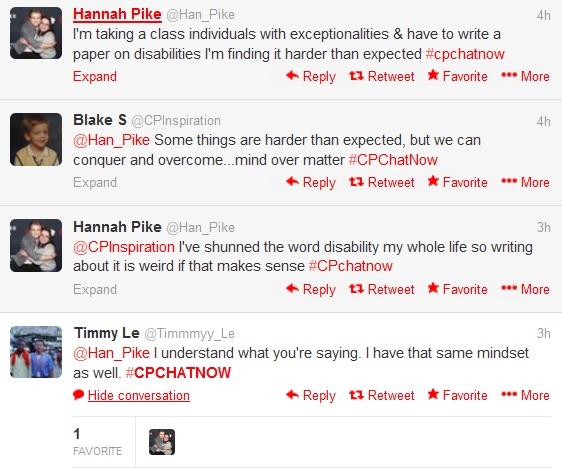 You don’t have to have cerebral palsy to chime in. 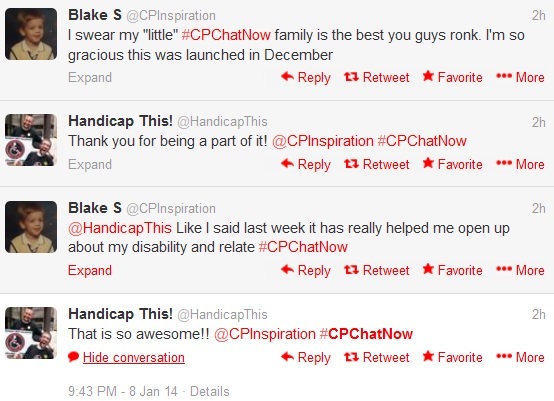 Live #CPChatNow Twitter chats take place every Wednesday at 8pm EST/7pm CST/5pm PST. Not on Twitter? 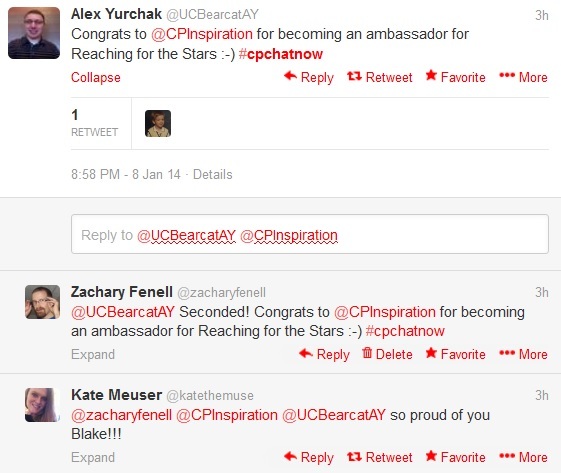 Join in using the #CPChatNow Facebook page. With New Year Day passing Wednesday another cycle completes and a new one begins. Now I’m talking about the process where the change in calendar year renews optimism and hope. Resolutions often accompany these positive sentiments. Yet said resolutions always seem to become forgotten by the time March rolls around. Not for you and me! Today’s post marks the end to my monthly 2013 New Year resolutions tracking. Next week I’ll embark on a yearly overview and in two weeks publicize my 2014 New Year resolutions so I can face the public accountability all over again. First though, let us revisit December 2013. After three months where I accomplished resolution one in the month’s last week, I finally avoided the last minute pressure. Inspiration for topic ideas really helped me here. 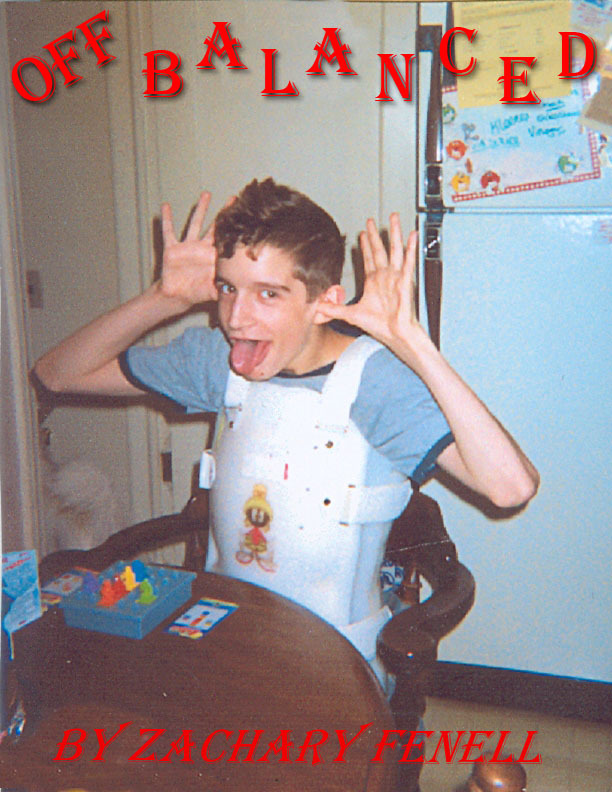 Seeing how last month marked two years since I released my cerebral palsy memoir Off Balanced to the Kindle and Nook, a reflection felt appropriate. If you subscribe to my blog (button located on the right hand side under my picture), you know I surpassed resolution two. Overall I published six new posts in December. Exciting happenings motivated me, namely the emerging #CPChatNow, serving as a panelist on Parent to Parent of Georgia’s webinar “Finding Your Way: Transitioning from High School to College,” and conducting the first Off Balanced book giveaway. Despite the aforementioned success, December also proved a difficult month. 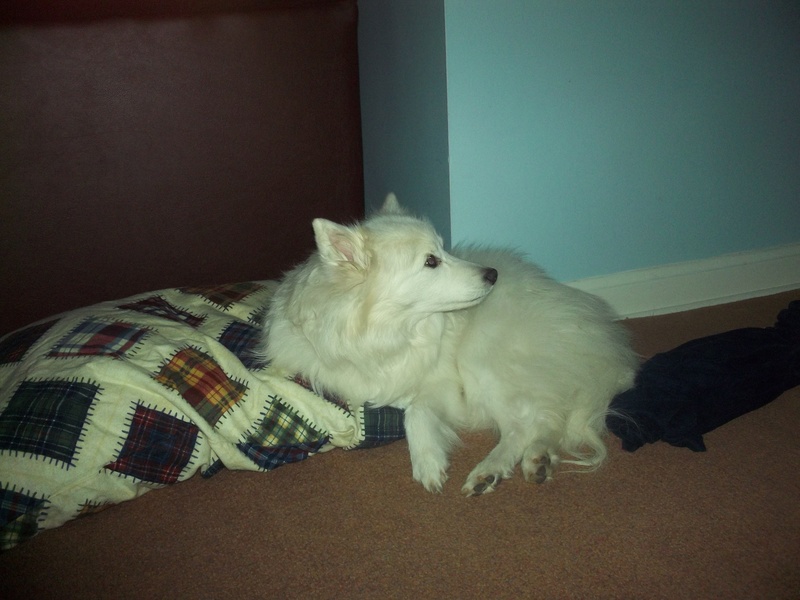 On December 4th we put my dog Dakota to sleep. Like I share in my Handicap This December team post “My Dog Helped Me Embrace My Disability,” Dakota meant a lot to me. Her loss affected my productivity for about a week. Factor in the holidays too and I ended up missing two deadlines. 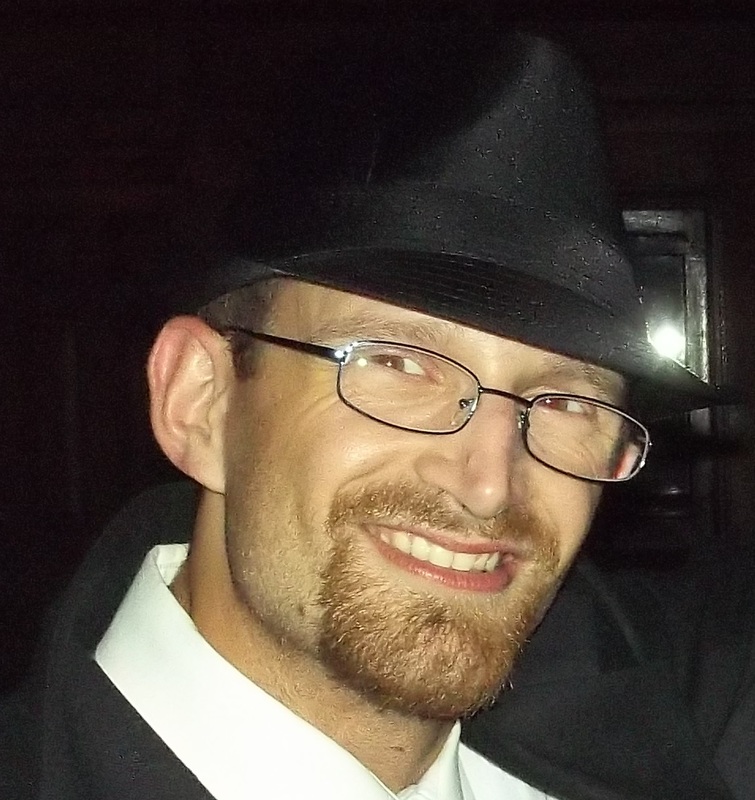 The first for an article I’m writing for The Mobility Resource and secondly a guest blog opportunity for Joe Reddington. I’m determined to soon make up for my December failures.